We would like to thank our neighbors in Independence for visiting our website. If you are looking for a licensed estate planning attorney in Kenton County, you have found a reliable local resource. Independence, with a population of more than 24,000, is a home rule class city, meaning that it is able to pass its own laws and govern themselves as they wish, as long as they comply with state and federal constitutions. Due to its location, Independence, Kentucky is known as “the heart of Kenton County.” Independence serves as one of Kenton County’s two government seats and is considered a suburb of Cincinnati, Ohio as it is only 15 minutes south of the city. As its residents will tell you, Independence provides a very different lifestyle than its neighboring cities and towns primarily because it offers many of the expected urban conveniences but in a rural location. Ranked as the 99th quickest growing city in the country, Independence has much to offer its senior community. Independence opened its Senior and Community Center in 2002, serving not only residents of Independence but all of Southern Kenton County. Located next to the Independence Fire Station, the mission of the Senior Center is to eliminate feelings of loneliness and isolation by promoting social relations among seniors in the area. By improving the quality of life for Independence seniors, the city makes a great contribution to the community. If you think elder law is something that only impacts other people’s lives, think again. The fact is that elder law encompasses a wide range of concerns – some of which can affect you at any age. If you’re like most people, chances are that you’ve never even heard of the area of law known as elder law. That’s certainly true if you’re in your younger years when legal concerns all seem to affect everyone on an equal basis. As you start to age, however, you’ll notice that the impact of different types of laws on your life seems to change. By the time you’re a senior citizen, the laws that directly impact you are likely to encompass topics that seem of little importance to the young. To understand why this will matter once you’re a senior, it is vital to understand just how elder law can impact your life. Let our Kentucky elder law attorney explain that impact. 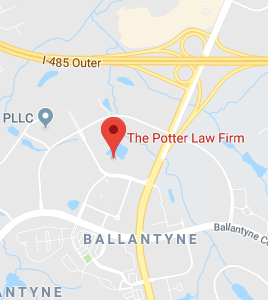 If you have questions regarding living trusts or any other estate planning matters, please contact the experienced attorneys at The Potter Law Firm for a consultation. You can contact us either online or by calling us at (606) 324-5516 (Ashland, KY) or (859) 372-6655 (Florence, KY) and for individuals in the Charlotte or Huntersville, North Carolina area call (704) 944-3245.